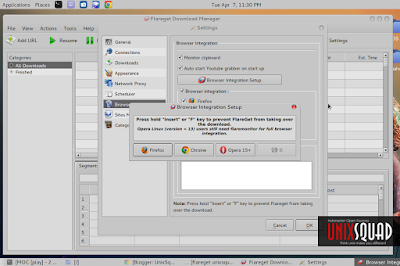 How to Install And Integrate Flareget on Linux - There's IDM - Internet Download Manager for one of best download manager in Windows. As I've write before in Top 4 of Best Download Manager for Linux Distribution. FlareGet is a multi-threaded download manager and accelerator for Windows, Mac and Linux. It supports Windows XP/Vista/7/8 , Mac OS X 10.7+ and almost all 32 and 64 bit Debian, RPM and Pacman based Linux Distributions. The supported Linux Distributions including Ubuntu, Fedora, Mandriva, OpenSuse, LinuxMint, Arch Linux, Chakra Linux and many more. It can resume unfinished downloads even on power failures or system crash. It also automatically retries when a segment or download fails. Currently there is no resume support for FTP downloads. One click flash video download from Youtube is supported for all the browsers. It supports segmented download of a file from multiple mirror sites with automatic link checking of expired URLs. Multi Language Support : FlareGet is available in 17 different languages, currently English, Arabic, Farsi, Italian, Chinese(Simplified), French, Czech, Bengali, Spanish, Brazilian Portuguese, Russian, Polski, Turkish, Russian, Nederlands, German and Indonesian are available. 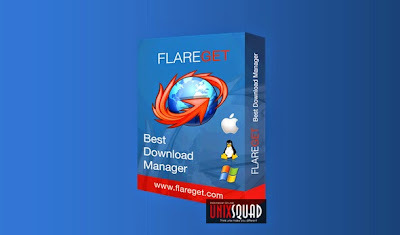 Step 1 - Download flareget package first. Step 2 - Open your terminal ( alt+ctrl+T ) and install by type this command. Don't forget sudo if you not as root. 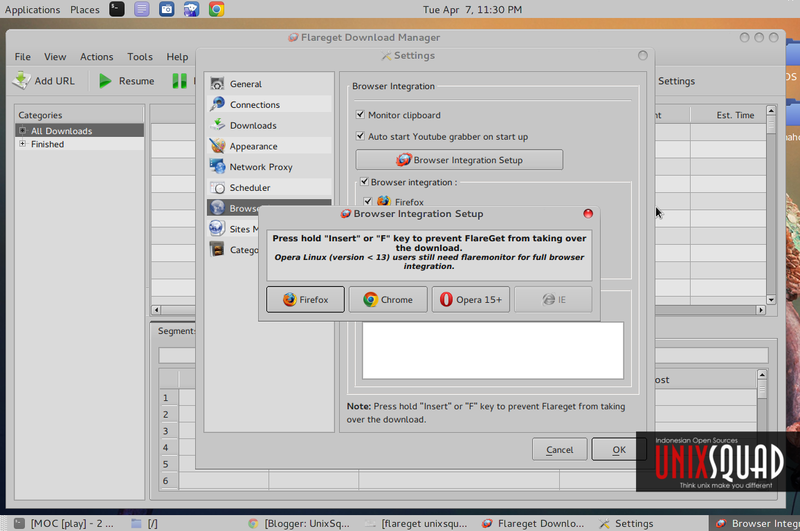 Step 3 - After you finished install it, you should integrate flareget into your browser. Step 4 - Enjoy the features!